The “Jerusalem school” of rabbinics has traditionally avoided writing in any language other than Hebrew. In his introduction to the collected works of J. N. Epstein, Ezra Zion Melammed wrote that his teacher, J. N. Epstein “while living in the exile of Europe, wrote most of his studies in foreign languages, and from the day he ascended to Jerusalem, to teach at the Hebrew University, wrote all his studies in Hebrew […]. He also rewrote his opus magnum, Introduction to the Mishnaic Text, which was written in German and ready for the press, in his clear Hebrew […].” Even in the United States, students of this school published mainly in Hebrew: Saul Lieberman, Israel Francus, Abraham Goldberg, and Shamma Friedman wrote most of their enduring and important works in Hebrew (David Weiss-Halivni is somewhat of an exception to this rule, but the bulk of his scholarship, too, is written in Hebrew). One of Jacob Neusner’s standard complaints was the lack of scholarship in “a European language” – and the field has seen a sea change in this regard. Most scholars of rabbinics now publish extensively if not exclusively in “European languages,” especially English. Except, of course, in Jerusalem. Here, Robert Brody is somewhat of an exception. He is the only Hebrew University professor of Talmud who published an important monograph in a language other than Hebrew. 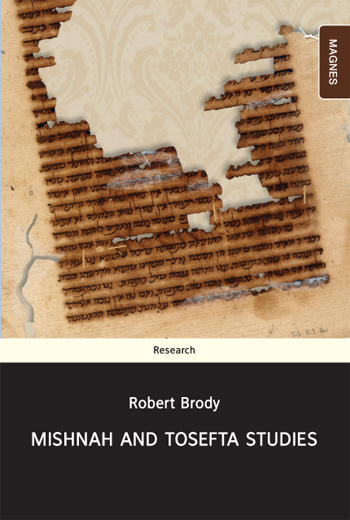 Mishnah and Tosefta Studies now joins his The Geonim of Babylonia and the Shaping of Medieval Jewish Culture as an important addition to Brody’s English oeuvre. It is part of a long-term project, which Brody describes in his introduction, of a commentary on Bavli Ketubot out of which grew a commentary on Mishnah and Tosefta Ketubot. In the course of that work, Brody understood that he wanted to “tackle in a more systematic way several topics about which I had thought, and sometimes lectured, over a period of years.” And he wanted to do it in English. The language shouldn’t fool you, thought: Brody might be writing in English, but the book is decidedly Jerusalemite: a crash-course in straight-up philology, clearheaded and free of jargon, served cold. Brody takes us back to basics: examining all the evidence, sometimes offering simple solutions for complex problems, and sometimes admitting cheerfully that he has none. He moves abruptly from example to example – it seems that he is really interested in presenting examples, and that the niceties of introductions and conclusions are so burdensome that he sometimes does away with them – stopping to point out how they refute this or that scholarly consensus that has solidified over the years. 1. There are two distinct versions of the Mishnah, one influenced by the Bavli and transmitted with the Bavli, the other influenced by the Yerushalmi and transmitted alone. An outgrowth of this paradigm is that the MSS of the Mishnah are considered more “Palestinian” and thus more “authentic” than the Mishnah in the Bavli. This paradigm was developed by Jacob Sussman and David Rosenthal, and is discussed little beyond Jerusalem and its satellites (e.g. Christine Hayes’s Between the Babylonian and Palestinian Talmuds, which problematizes this thesis as well). While this thesis seems simple enough – and of little importance to non-philologists – it has important implications for the history of the redaction and transmission of the text of the Mishnah, and also emphasizes the fuzziness between redaction and transmission in the first place. As Ishay Rosen-Zvi notes, studies of the orality of the Mishnah, for example, would do well to think of the Sussmanian assertion that the Mishnah was a completely oral text in the formative stages of its creation, as well as note the scholastic changes that the Mishnah underwent while it was being studied in the Talmudic academies which placed it at the center of their curriculum. Or did they? Brody tests Sussman-Rosenthal’s thesis of Talmuds influencing Mishnah text by examining several examples of discrepancies between the two versions of Mishnah which do not match this model. For example, there is no Babylonian Talmud on tractate Shekalim, but the distinction between the two strands of transmission -independent manuscripts versus Bavli manuscripts – still exists. Additionally, there is no Palestinian Talmud on the order Kodashim, but the distinction still stands. Brody discusses the ways in which we could account for these differences in the absence of a simple model like the one suggested by Sussman and Rosenthal. 2. The Tosefta predates the Mishnah. This paradigm is often attributed to a series of articles which culminated in Shamma Friedman’s Tosefta Atikta (Ramat Gan: Bar Ilan Universtiy Press, 2003). Brody agrees that “there is no doubt that Friedman is correct in claiming that the Tosefta sometimes preserves sources which are identical or very similar to those underlying specific passages of the Mishnah.” In Brody’s opinion, however, the operative word is sometimes. Since he has no general preference for one option over the other, he presents himself as an impartial observer, in each case trying to point out which option makes more sense (his treatment of Judith Hauptman’s Rereading the Mishnah, which espouses a similar point of view but makes more far-reaching claims, is somewhat less deferential). 3. The two MSS of the Tosefta present versions of the Tosefta which are independent of each other, and which have their origins in the distant past of the redaction and early oral transmission of the Tosefta. Here Brody really shines as a master philologist. In his opus magnum, a slim Hebrew book called The Textual History of the Sheiltot (New York and Jerusalem: AAJR, 1991) Brody offers his stemmatic analysis of the relationship between all known textual witnesses of the Geonic work Sheiltot, a compendium of sermons on the weekly Torah reading, based mainly on the Babylonian Talmud. While Sheiltot has nine full MSS and countless more textual witnesses, Tosefta has between three full witnesses and some additional partial ones. Brody transferred his philological acumen from one work to the other to point out some facts that have the potential to revolutionize the textual study of the Tosefta. First, Brody asserts that all the witnesses of the Tosefta are descended from one single written exemplar. Even the major discrepancies between the manuscripts can be explained according to this model. Thus, unlike the Babylonian Talmud, the Tosefta is best analyzed as a written text, and the variant readings as errors or corrections in the transmission of a written text. Most intriguing is his discussion of what Yoav Rosenthal has termed “changes of place,” when one segment appears in different places in two witnesses not as a part of a list with an interchanging order of segments, but simply on its own. While Rosenthal in a recent article uses these changes to reconstruct a complex redactional history of the Tosefta, Brody is – as usual – skeptical. He prefers to ascribe these changes to insertion of marginal glosses in the wrong column, noting that the gap between the two places where these kinds of segments are located in the two MSS tends to be roughly the size of one column of text or its multiples – 140 words or so (pp. 50-51). 4. Rabbinic texts are best presented in diplomatic editions, according to the “best manuscript” available. Brody “passionately” disagrees, and thus the book ends with an “impassioned plea” to change the dominant practice of printing rabbinic texts as diplomatic editions of one manuscript, rather than making educated editorial statements as to the wording of the original text itself. Two recent editions come to mind – Kahana’s diplomatic edition of Sifre Numbers, as opposed to Milikowsky’s eclectic edition of Seder Olam, which is closer to Brody’s plea. The plea itself is in fact somewhat less than “impassioned,” as is the rest of the book: Brody is direct and curt. This book has no funny anecdotes about renaissance scholars , no apologies for the relevance of scholarship, and definitely no cultural criticism. In a field that constantly says its texts are indeterminate and fluid while adhering for the most part to whatever can be found in the canonized translations and computerized databases, Brody refreshingly lacks any desire to self-reflect. Words stand in the center of this book, and perhaps out of respect for those same words, they are used sparingly. The book is generally well-edited, except for the too-common passive constructs and several copyediting glitches – for example, the name Lieberman (as in Saul) is sometimes spelled Liebermann and sometimes not. This could have easily been corrected. I would have also appreciated Hebrew texts as well as the translations Brody provides, but they will probably be in the Hebrew book slated for publication soon. This book is an important contribution to the textual study of Mishnah and Tosefta, an important corrective to comfortable paradigms and rules-of-thumb that dominate rabbinics, and for the first time all of this is available in English. Ignore it at your peril, and assign it to your graduate students. The past few years have seen an abundance of new Mishnah scholarship. Between the literary turn exemplified by Avraham Walfish’s dissertation; the Cover–Bakhtin moment in Moshe Simon-Shoshan’s monograph; and the ritual and Temple focus of the work of Berkowitz, Stoekl Ben-Ezra, Rosen-Zvi, and, most recently, Naftali Cohn, the Mishnah remains at the nexus of exciting academic output where new questions, methodologies, and insights come to test. In this context, Yair Furstenberg, whose dissertation on Tractate Taharot can be included in the above list, delivered a class on Mishnah Pesahim here in the HUJI Talmud department last semester. At the end of the course, I, along with a friend, penned a paper on Mishnah Hallah. Studying and writing on this short tractate raised some methodological issues that I have been pondering for quite some time and would like to share here. As noted by Menahem Kahana in his dissertation (“Prolegomena to a New Edition of the Sifre on Numbers”, Jerusalem, 1982), it appears that the Midrash here is rejecting an opinion that identifies Hallah with the commandments of Bikkurim and Omer. Such an opinion would understand the word “ראשית” as it appears in other parts of the Torah in relation to first fruits, practically meaning here that Hallah should be separated only once at the beginning of the year and not from each batch of dough. and Baumgarten comments: “Our text identifies this חלה with the two loaves (לחם תנופה שתים) to be offered on the Festival of Weeks in accordance with Lev 23:17… The text interprets this to refer to an annual terumah, presumably on the basis of the term ראשית (Num 15:20), which is elsewhere applied to first fruits…”. In our paper, we attempted to use this argument as a backdrop for better understanding some of the rather odd structural phenomena of tractate Hallah. In its first chapter, for example, the Mishnah devotes a relatively large amount of time to the comparison between Hallah, Terumah and Ma’aser. Likewise, in the third chapter, the discussion of Hallah is interrupted in Mishnahs 4 and 9 by comparisons to these tithes. By developing the tractate thusly, the editor succeeds in introducing the basic laws of Hallah while at the same time firmly placing the commandment outside of the category of “first fruits”. The method is subterfugal: The Mishnah doesn’t even mention the sectarian opinion as an option. Instead, it emphasizes the aspects of Hallah that are unlike Bikkurim and more like Terumah and Ma’aser: That the requirement to separate it is not a function of time per se, but of the produce or dough’s entering into a state of obligation through its physical state. But are we overreading here? Can polemics be found here even though they aren’t brought up explicitly? Can the structural choices of the Mishnah’s editor(s) speak of points of conflict between the rabbis and other Jews? I’m not sure if the Mishnah works this way, and I’m wondering what other people have to say. Ofra Tirosh-Becker, Rabbinic Excerpts in Medieval Karaite Literature, 2 Vols. Jerusalem: Mossad Bialik, 2012, 1219 pp., NIS 111. Everyone knows about the Karaites. They need little introduction: Ninth century Jews tired of geonic hegemony, going back to scripture to find law and independence. But there is very little beyond that which has trickled outside of the academic circles that busy themselves with the Karaite movement, despite its great importance to the study of rabbinic Judaism. There is much Karaite material waiting to be read. Simply read. The great age of Karaite scholarship – in Jerusalem and its environs in the tenth-eleventh centuries – produced a great mass of work, fascinating and useful not only for students of Karaism. However, most Karaite commentaries lack editions of any kind; the Karaite communities have little interest in their own literature, and not much of it was published, while even less is in print today. 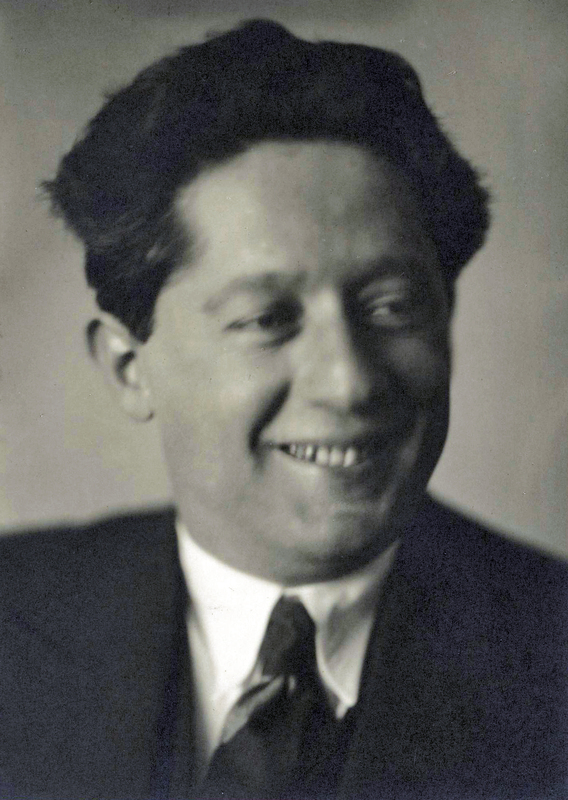 “It is one of the ironies of fate […] that the Karaites, the great fighters against the oral Torah, allowed me, with the grace of God, to reconstruct a new segment of the literature of the oral law.” Thus Menahem Kahana in his introduction to Sifre Zutta Deuteronomy (Jerusalem: Magnes, 2003). Kahana discovered this midrash by mistake in a survey of Hebrew manuscripts in Russian libraries, during the first days of Soivet perestroika. Kahana identified fragments catalogued as “Midrash on Deuteronomy,” as belonging to the commentary on Deuteronomy by the Karaite Yeshuah b. Yehudah. But he also discovered a long-lost tannaitic midrash quoted in them as well: Sifre Zutta Deuteronomy, which he proceeded to publish, with an extensive commentary and study. This is just one dark corner of the Karaite world that Kahana helped expose. But he was not alone in this enterprise. Ofra Tirosh-Becker, a linguist by training, has been working on one aspect of this Karaite material for many years. Her doctoral dissertation – under the same name – was approved in 2000. In it, she discusses as many quotations of rabbinic works in Karaite literature as she could find. Our book is an expansion of this dissertation, both in terms of the breadth of the corpus of quotations in vol. 2 and in terms of the “philological and linguistic discussions,” in vol. 1. Tirosh-Becker discusses such questions as the ways in which Karaite scholars treated rabbinic material, whether or not they forged it for their own purposes (usually not, but there is one fake barayta forged by Sahel b. Masliah, mentioned on p. 106-107), and what they called it when they quoted it (usually, “the first ones said”, qâl âlâwalûn). She also devotes an extensive chapter to the question of the script employed in Karaite works: Karaite writers used both Hebrew and Arabic scripts, and wrote both languages in both scripts. This is of importance to the linguist, as many rabbinic sources are transliterated into Arabic script, allowing for the reconstruction of the reading tradition of certain words (e.g. : the reading ribbi is attested, as in all other rabbinic sources – and not rabbi; the letter ג is transliterated as jim and as ghain, depending on its positon in the word: gevul but reghilim). Additionally, the Karaites employed some Hebrew diacritics in their Arabic to signify phonemes that do no exist in Arabic, like Hebrew vowels, and the rafe sign over the Arabic bah. But this is of importance to the cultural historian, too: why did Rabbinites use only Hebrew script, and Karaites Arabic? Was it an economic divide, or an ideological one? Tirosh-Becker discusses some previous research cursorily, but essentially leaves the field for others to till. She makes that work easier, too: a description of all the manuscripts employed is appended to vol. 1 (chapter 14), and it allows for a survey of material where interesting discussions of rabbinic material might show up. More such discussions abound – the chapters on nikkud (10) and cantillation marks (9) are fascinating as well. Tirosh-Becker also identifies errors that testify both to the oral recitation of the texts, as well as some errors that clearly point to a written provenance of the same texts (I wonder if Karaites stopped copying from the rabbinic texts themselves at some point and started copying from each other; we do know that many rabbinic texts were owned by the Karaite synagogue in Cairo – but the fake barayta was copied over and over as well). But the great treasure of the book is vol. 2. 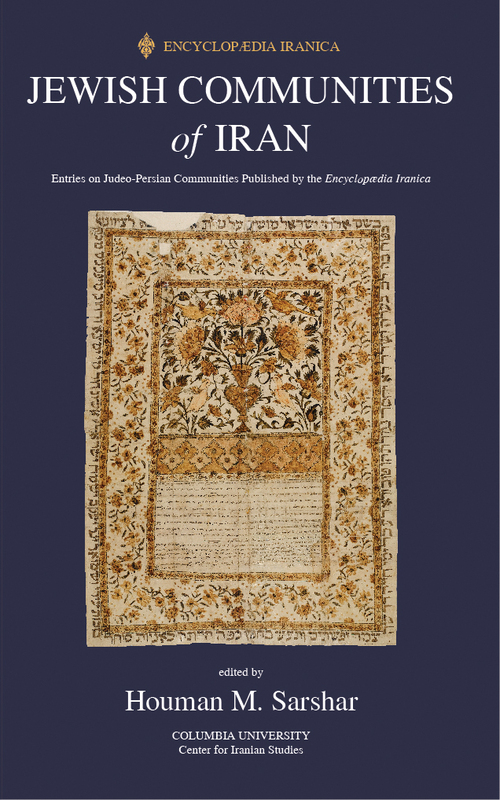 Spanning over 800 pages, this volume includes all the quotations of rabbinic literature in Karaite works Tirosh-Becker was able to find. She was careful to leave the script as she found it – no transliterations for you! – with or without all the diacritics. In a feat of typesetting (it seems the book was created entirely on MS Word), she was able to reproduce the Hebrew diacritics, Arabic diacritics, and scripts accurately and precisely. She also points out where the quotations diverge from the MS chosen by “Maagarim” to represent the work. This is another area where a Talmudist should intervene, and check the quotations to see if they match any one text-type of the Mishnah. 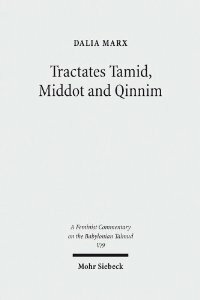 Tirosh-Becker also publishes a large number of quotations from the previously-lost Mekhilta of Rabbi Shimon b. Yohai. This is a real find, and the author promises an article soon with Menahem Kahana on their value (see pp. 112-115 for a discussion, and pp. 856-882 for the quotations). There is a disproportionately large amount of quotations from this Mekhilta in the corpus, pointing to its prominence in Babylonia (indeed, the Mekhilta of Rabbi Ishmael was sometimes called “the Palestinian Mekhilta”). Many of these quotations are from parts of the Mekhilta not attested in known Genizah fragments, and were reconstructed from the fourteenth century Yemenite Midrash Hagadol twice: by D. Z. Hoffmann, and by J. N. Epstein. The latter was more conservative in his reconstructions, but several quotations discovered by Tirosh-Becker actually support Hoffmann’s more extensive reconstructions. However, these quotations, as far as I could see, are not marked in any way as derived from the Mekhilta, and in some cases (see e.g. pp. 859, 860-862) I’m curious why the author thinks they are from this work and not simply from one of the Talmuds, which contain similar material. There is also one quotation from the lost Mekhilta to Deuteronomy (1124), a handful of quotations from the Palestinian Talmud (Talmud llshâm), and a long quotation with the story of the Oven of Aknai – a rallying point for laughing Karaites everywhere (1172-1175). The rest of the rabbinic library is proportionately represented too: Mishnah, Sifra, Sifre (Num and Deut), Bavli, Midrash Agada and even some Tosefta. The unimaginatively named Rabbinic Excerpts in Medieval Karaite Literature is now another resource scholars of rabbinics must consult on matters of text, readings and reception history of the rabbinic text. But it is also a repository of a culture negotiating its relationship with revered predecessors represented in this world by bitter enemies; a story of cultural appropriation and literary positioning. In that sense, Tirosh-Becker’s book is a collection of artifacts still waiting to be read. We all have our coping mechanisms. I really do enjoy the soaring liturgy of Rosh Hashana, the tunes, the gravitas. But everyone has their limits. To get through the marathon sessions in shul, an interesting book is quite simply, indispensable. This holiday, it was the latest volume of Mishnat Eretz Yisrael – tractate Rosh Hashana (2011). Like previous volumes, the book represents the intellectual fruits of study sessions held in the Safrai family. The text of the Mishna includes both the ed. princ. alongside the celebrated Kauffman manuscript, which unfortunately is not reproduced in the clearest manner. The commentary, referred to as the “Safrai commentary” is historically and sociologically oriented (whatever the latter is supposed to mean). I picked up Mishnat Eretz Yisrael previously, but this Rosh Hashana I had enough time to get through almost the entire volume, start to finish. There are plenty of readings that I disagreed with, instances that I thought the scholarly judgment was “off,” and many times that I found the commentary stray well beyond the matter at hand. And yet as a cultural phenomenon – a new edition of Mishna that incorporates academic insights and presents them to a non-academic public (that is, beyond the sphere of S. Jerusalem, where as the saying goes, even the milkmen are learned) – I think it is a great accomplishment. In certain respects, it recalls the Da’at Miqra series. Yes, there are serious and even fatal flaws in the approach taken by the project as a whole and even in some of the better volumes. But the fact remains that the series was successful in introducing certain (selective) aspects of the academic study of the Bible into the Orthodox Jewish sphere. I have to say that the Safrai Mishna does it much better, and from an Orthodox theology perspective, will encounter far less resistance from the Orthodox public. It also. I believe, has the potential to travel far beyond the confines of Israeli Orthodoxy, if it is only marketed properly, and if future volumes are just a little prettier. Screenshot of the Accordance app for iPad. This guest post is by Talmudblog friend Richard Hidary, who runs the extremely helpful website rabbinics.org. 1. ובלכתך בדרך is a free iPad and iPhone app with lots of rabbinic and halakhic works and much more, just search for “onyourway” in the app store. 2. Accordance is not only a fantastic Bible program, and probably the best Dead Sea Scrolls program, but also has some useful rabbinic texts. It runs on Mac and now has a fantastic iPhone and iPad app. It runs suitably on a PC with a Mac emulator. It includes all the scrolls in Hebrew and English and all of the Biblical scrolls in order of Tanakh or in manuscript order (you can pull up the MT and Dead Sea Bible side by side and scroll them together). Modules are also available for the Mishnah according to printed editions, Neusner’s translation of Mishnah, and Kaufman ms. with all punctuation. The best feature is that all these texts are grammatically tagged – useful for easy grammatical analysis and sophisticated searching. 3. Neusner’s translation of the Yerushalmi is available on CD-ROM. It is available at SBL for a discounted price. You can copy it to your hard drive – it’s just a pdf and is very easy to use. 4. Mikraot Gedolot Haketer, which has published only a few books, has made available all of Tanakh and all of the included commentaries on CD-ROM. The software is only for sale at their office in Bar-Ilan and they only accept cash and do not ship. However, if you can get there or send someone, this fine collection of texts is well worth the 490NIS. 5. Jastrow’s dictionary is available on HebrewBooks but also in an easy to use interactive format here. The dictionary is also available as an add in on the iPad app iTalmud where you can touch any word of the Bavli and jump instantly to the dictionary. Unfortunately, the program doesn’t know the root of the word and so usually takes you to the wrong place. 8. The Steinsaltz Talmud of the daf yomi is posted daily here. You can also go back a few hundred days to get previous dapim from Yevamot and on. There did once exist a CD-ROM of the entire Steinsaltz Talmud but I haven’t been able to locate a copy in any library or in any store (this site advertizes it but doesn’t sell it – I already checked). Does anybody know more about this? 10. On rabbinics.org one can find my Version Editor macro for lining up manuscripts, perfect to use in conjunction with the new http://www.lieberman-institute.com/. The Macro is free, but please share your charts so that we can together create a database of texts for use of the general community. Also on the rabbinics.org site, I have begun to post Hebrew dissertations. Many people at Israeli Universities have fantastic research hidden in master’s and PhD theses that never get published. If you fit into that category, or know someone who does, and would like to make your work available, please send a pdf to me at rhidary [at] yu.edu. Rabbi Dr. Richard Hidary is an assistant professor of Judaic Studies at Yeshiva University, Stern College for Women and an assistant Rabbi at Sephardic Synagogue in Brooklyn. 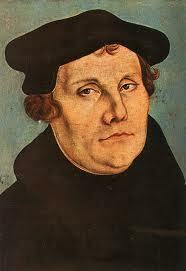 Lucas Cranach’s portrait of Martin Luther, 1529. A serendipitous combination of circumstances brought Jonathan Z. Smith’s Drudgery Divine and Hanan Gafni’s Peshutah shel Mishnah to my shelf side by side. Gafni’s brand-new book, based on a dissertation written under the supervision of Jay Harris at Harvard, is written in beautiful and clear Hebrew and attempts to introduce the uninitated reader into the complex and fraught world of Mishnah scholarship in its infancy. The Mishnah has two strands of textual tradition: the Babylonian and the Palestinian. Yaakov Zussman, through his command of the Mif’al Hamishna, claims that there are no Mishnah manuscripts that follow the tradition of the Bavli. This is no coincidence, per Zussman: the Babylonian tradition – of which all extant Jewish communities are heirs – did not prize the study of Mishnah on its own. The Mishnah was to be studied in conjunction with the Bavli. 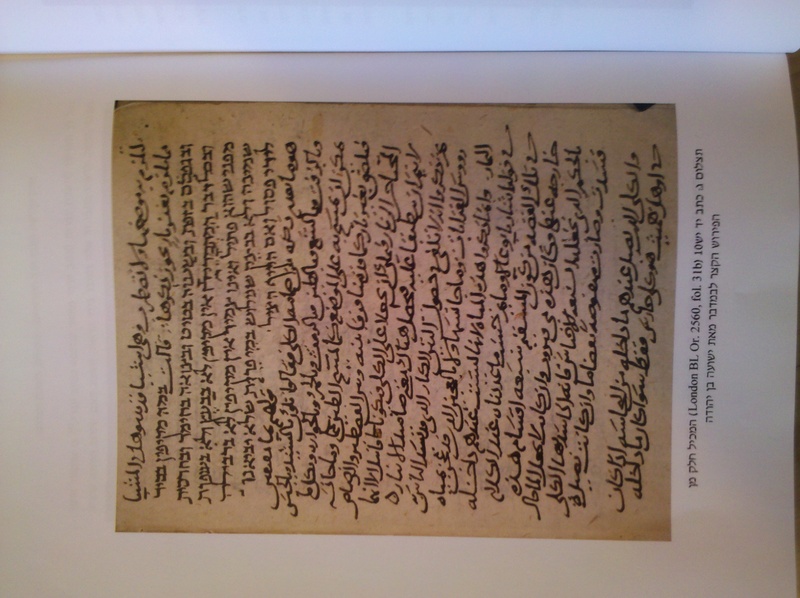 When Maimonides wanted to write a commentary on the Mishanh, he had to use a Palestinian Mishnah manuscript and sometimes update it to keep it in line with the Mishnah or the halakha of the Bavli. The first edition of the Mishnah was printed in Naples, in 1502, with Maimonides’ commentary. Ovadia of Bertinoro published a commentary in Venice, in 1549. Study of the Mishnah on its own regained some ground in Kabbalistic circles in 16th century Safed – R. Joseph Karo’s supernatural Maggid was in fact the Mishnah personified. But Gafni’s study begins in earnest somewhat later, scouring Kabbalistic works from the Lurianic school for oblique references to “Peshat and Derash” in the Mishnah. These references – that give his book its name – were the seedling that allowed Mishnah scholarship to begin in the school of the Vilna Gaon. Gafni surveys scholars by geography, beginning with Safed, then Lithuania, Italy, Galicia, Germany and then, finally, Vienna. Scholars are selected, described and their work is discussed. Each chapter ends with an example, that is useful for understanding the real meaning of the figure’s work – often readers of such books end up knowing so little about the actual substance of the work. Many of the debates important to the interface between Jewish studies and Jewish people in our time are echoed in these sketches: should scholars be engaged in the issues of their communities? Should they bring their religious agendas to their work with them? But for me – reading Smith at the same time – the striking point was the Protestantism of it all. The idea that these early Mishnah scholars had, that at some time in Jewish history there was a moment of purity, of clarity, when everything was pristine and not mangled up by the Talmud and its casuistry strikes a note that Smith hears elsewhere. Just as early study of religion was focused on highlighting the “uniqueness” of the one Religion – i.e. Apostolic Christianity, through a Protestant lens- so perhaps early study of Judaism by Jews was marked by their aversion to the Talmud (read: Bavli), its embarrassing complication, superstition, and stringency. The Bavli was the repository of choice for the shame Jews had of their own religion; as the protestants blamed the “rabbins” for the Jews and their strangeness, the Maskilim blamed the Bavli. Then, when they began to study the Mishnah as a work unto itself, this added another layer of embarrassment: really, the Bavli couldn’t understand the Mishnah at all! The field in fact took over a century to recover. Only David Halivni and Eliezer Rosenthal, neither a “natural” heir to this tradition, both steeped in traditional talmudic study that they did not hate, were able to bring the Bavli back into the limelight. Numerous lessons were learned from this retreat from the Bavli, as well: first, that there are other texts besides the Bavli, and second, that the Talmud is neither stupid or superstitious. It is an interesting and complex product of its time and place – and that it is, on a most basic level – still not really understood.